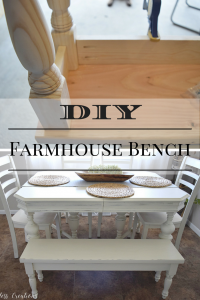 Some pieces of furniture we acquire need quite the overhaul to make them great again, but some we get just need a little paint and fun accents to make it a new piece again. 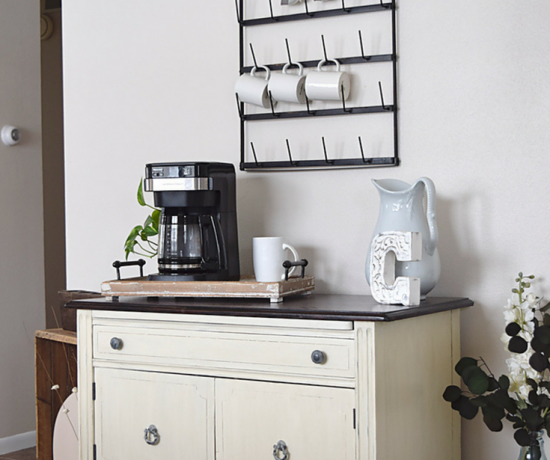 We compiled a list of easy and very small changes you can use on furniture that make a big impact in changing the look. The next time you want a little bit of a change with not a lot of work, use these tips! 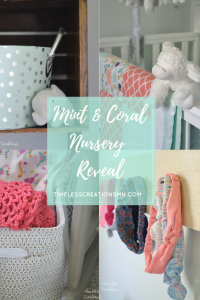 This post contains affiliate links for your convenience in locating products we use and love. For more details see our full disclosure here. 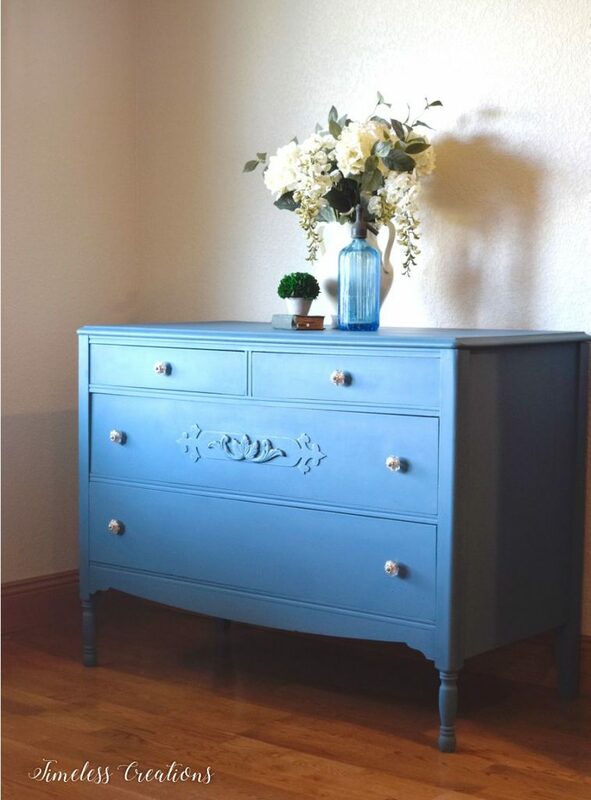 This little dresser was dark and sad looking before and all it took to bring it to life was a little sanding and a beautiful, bold blue color. 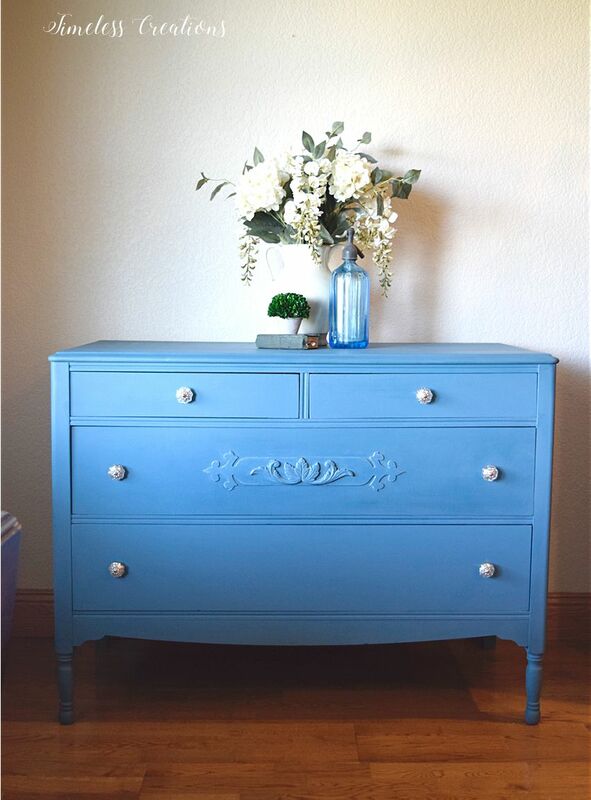 This is one of our very favorite blues to paint furniture. 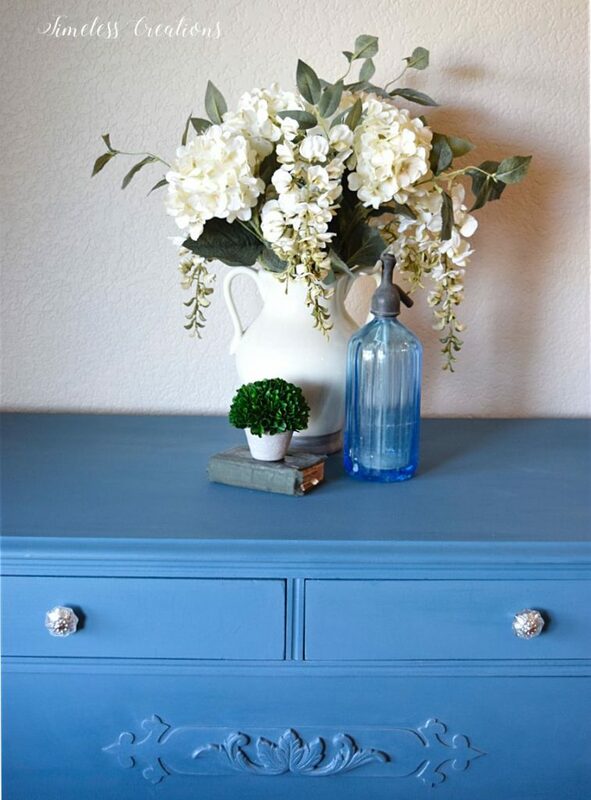 It is the perfect shade of dusky blue, not overly bright, yet it still makes an impact. Just a couple coats was needed, then the entire piece was sealed with wax to maintain the matte look from the chalk paint. 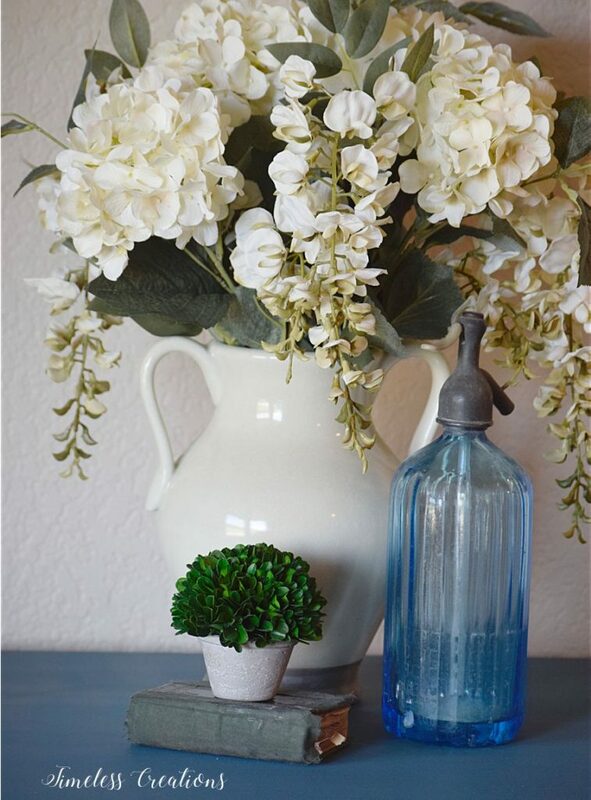 While most of the time you can just reuse old knobs or pulls either as-is or by painting over them to match. But sometimes a piece needs some pretty decorative new knobs to kick it up a notch! 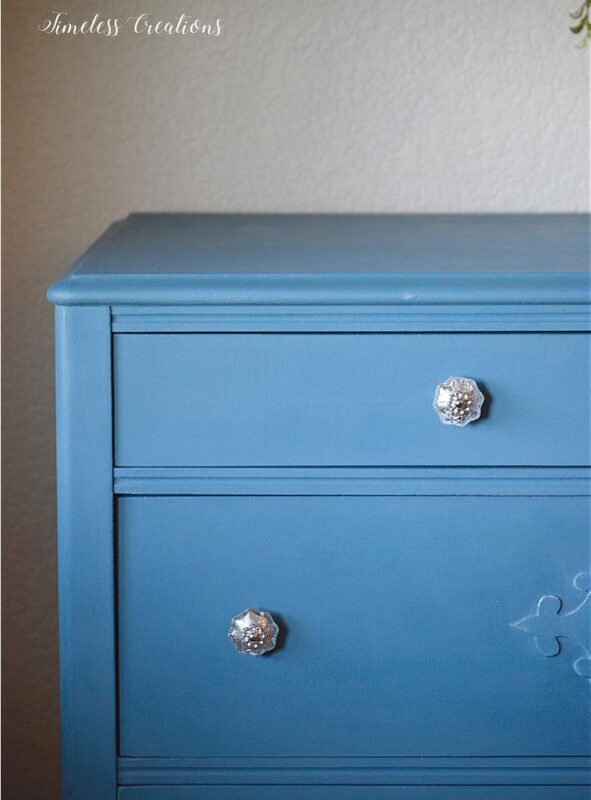 (HERE is where we frequently buy new knobs) These pretty silver, flowery-looking knobs were ones we had previously purchased and both agreed went perfectly with this dresser. They helped elevate the dresser perfectly. There are so many different ways to bring out the little details of a furniture piece. From wax to washes, distressing to gilding or decoupage – the possibilities are endless! Since we added the applique we had the perfect little detailed area we wanted to accentuate. For this particular dresser we decided a bit of gilding paste would work perfect! We used silver to go with the new knobs and just rubbed it on the raised parts and edges with our fingers. Again – another easy and small change that made a nice impact. And what a great looking dresser we have now using just simple yet effective changes that make such a great impact! The dresser is beautiful. Great job. What color is the paint & who makes it? 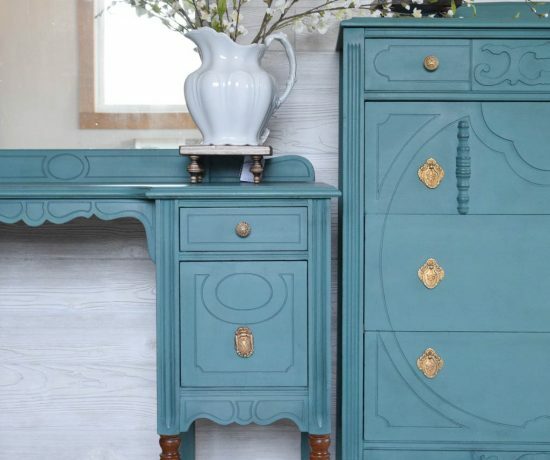 I have a hutch that would be perfect with this color. Thank you Stephanie! 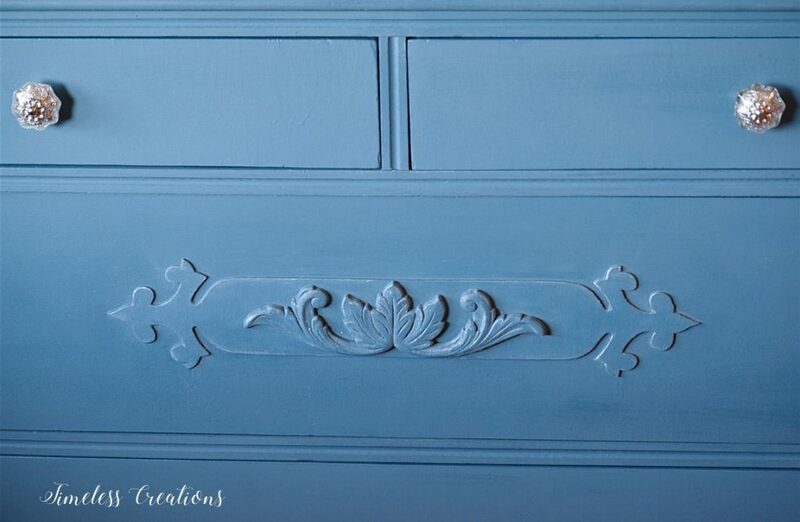 The color is called Aubusson Blue by Annie Sloan Chalk Paint. Good luck with your hutch! 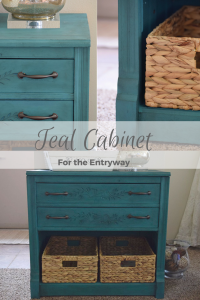 Saw you featured on Welcome Home Wednesday and thought the dresser was really pretty. 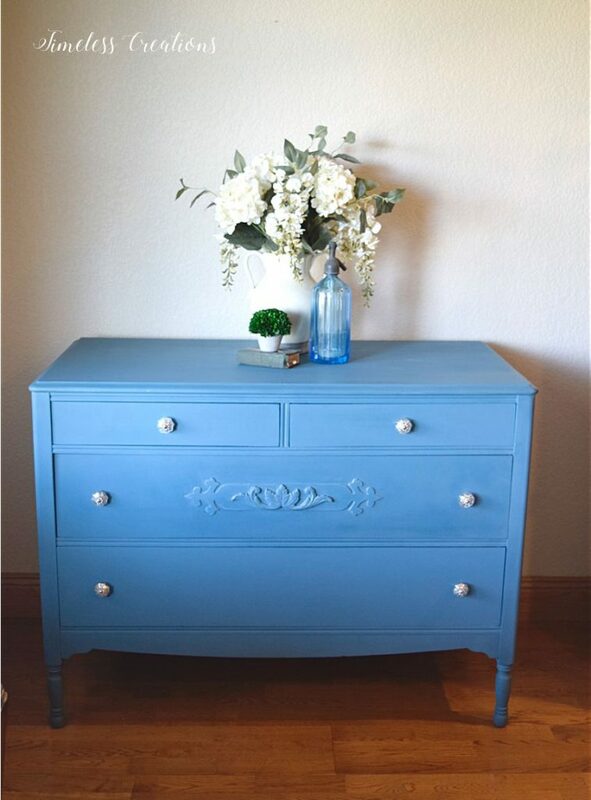 I love the bold color and the knobs are like jewelry, providing the perfect little bling to the piece. Love how bold this colour is. What a beautiful statement piece to have in your home. Love love!! 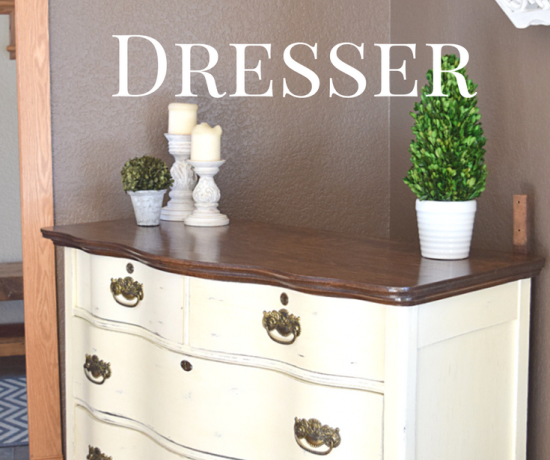 You really know how to dress up a dresser! Such a beautiful job. You have such a great eye! Thank you so much for sharing with us at Dishing It & Digging It & congratulations on being featured this week!